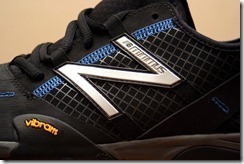 A few days ago I put up a first look review of the much anticipated New Balance Minimus Road shoe. Well, the next day the UPS man stopped by again, this time with a box containing Minimus shoe #2, the New Balance Minimus Trail (disclosure – this was a media sample and was provided free of charge). Of the two, this was the one that had me most intrigued since rumors had suggested that it was the more minimal of the two shoes (it is). I wasn’t disappointed. It’s rare for me to find a shoe that nears perfection in almost every way, but my initial gut reaction is that the Minimus Trail comes pretty darned close. As I did with the Minimus Road, what I’m going to do here is give my very initial thoughts on this shoe – you can expect that more will come as I run more miles in them. First things first, the Minimus Trail is a very good looking shoe. I’m a big fan of shoes that make a bold statement with their appearance, and the orange and black shoe that New Balance sent me certainly does that. The upper of the Minimus Trail is composed mostly of two kinds of mesh, both of which can be clearly distinguished in the images included with this post. The mesh on the toebox and tongue is a bit more padded than the rest, and is softer to the touch. It also absorbed water like a sponge when running through puddles, which felt a bit unusual, though not uncomfortable. The remaining mesh is more open, and the upper as a whole is thinner and a lot less structured than that of the Minimus Road. Of the shoes that I have in my collection, the most similar to the Minimus Trail in terms of upper structure and feel would be the Mizuno Wave Universe, the original Nike Free 3.0, and the Vibram Fivefingers – together, these shoes probably come closest to my ideal in terms of upper design. The interior of the Minimus Trail is also impressive. Like the Minimus Road, there are very few seams, and these shoes beg to be run in sockless. Neither shoe has an insole, and both are lined by very soft fabric that feels great against the foot. The interior of this shoe is fantastic. The Minimus Trail last is also a huge plus – my foot fits snugly in the heel and through the midfoot, and then the shoe opens up to a very wide toebox that is surprisingly flexible. (Update: I’ve developed some issues with the black band across the forefoot in the Minimus Trail being too tight on one side – you can read about my shoe surgery solution here) I actually sense more freedom of toe movement in these shoes than I do even in my Vibrams with their individual toe pockets. The combination of a more anatomically shaped last and a nearly seamless interior makes these shoes incredibly comfortable – I could easily hang out in these shoes all day. One of the most surprising features about the Minimus Trail is that it sports an outsole made by Vibram – yes, the same company that makes the famous Vibram Fivefingers toe shoes. The outsole pattern consists of a series of circular lugs with pits in between, and the entire sole is remarkably flexible (much moreso than that of the Minimus Road). I measure sole thickness at about 15mm heel and 11mm forefoot (the latter is hard to measure since there are no gaps between the tongue and the rest of the upper to get my calipers through) – the differential is therefore a 4mm drop from heel to toe. This latter spec is bound to be the biggest point of complaint from truly minimalist and barefoot runners (for more on this, read Jason Robillard’s very detailed review of the Minimus Trail), and my hope is that we will see a zero-drop version of the Minimus Trail appear in the next iteration of the shoe. There’s so much to like about this shoe from a minimalist running standpoint, it’s a shame that many minimalist runners will opt to skip out on it because it has a heel lift. Personally, the 4mm heel lift doesn’t bother me, and both this shoe and the Mimimus Road feel flatter than most shoes on my rack. 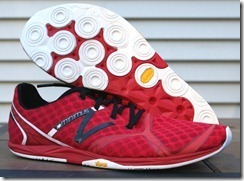 However, if I were New Balance I would consider putting out both a 4mm and a zero drop shoe to cater to both transitioning runners and those who have already gone full time into minimalist shoes like the Vibram Fivefingers. Enough about appearance and structure, let’s move on to performance. I’ll state openly as did in my Minimus Road first look that I have only run twice in these shoes. 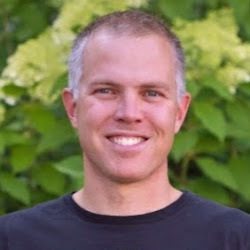 I’ll also state openly that to this point the vast majority of my lifetime miles have been run on roads – if you want the perspective of a hard-core trail runner, check out great reviews by Jason Robillard and Bryon Powell. My personal interest in the Minimus Trail is two-fold. First, I am looking for a minimalist shoe with good traction for winter running here in NH. Second, I’m running my first trail ultra next March, and needed a suitable shoe to use for both training and for the race itself. Right now, I’d say the Minimus Trail, the Saucony Peregrine, or a top-secret third shoe are the most likely options for me (I’m hoping to get a sample of the Peregrine soon). My first run in the Minimus Trail was an easy 3 miles on asphalt – I did this because I didn’t want to push my sore foot (which seems to be doing much better now), the shoes had just arrived, and I had a chance to run with my wife and infant son (in his stroller). The main thing I learned on that run was that the Minimus Trail handles perfectly well on asphalt. The lugs are low and flat, so they don’t cause any discomfort on the road, and I could easily see myself using these regularly as a road shoe (as I have the Vibram Fivefingers Trek Sport). The Minimus Trail may wind up being one of the most versatile shoes in my collection – time and more miles will tell. My second run in the Minimus Trail was a mixed bag of almost everything I could throw at it in five miles. It had been raining hard earlier in the day so I opted to go sockless and I ran the first 3 miles over wet leaves, wet sand, rocky trail, grass, mud, pine needle beds, and through some deep puddles (see left). The shoes performed great on all surfaces except down a steep hill on wet leaves (not sure any shoe could handle that well). The outsole provided protection from roots, sticks and rocks, though the occasional small rock would hit in a spot where it could be felt (similar to the Trek Sport, though maybe a bit more protection). I was particularly impressed with how the Minimus Trail performed when wet. After skirting around a few of the bigger puddles, I opted to start going straight through them just to see how they would handle when wet. The shoe soaked water in quickly, but because of the mesh most of the water drained out just as fast (except for the spongy tongue and forefoot covering) – going sockless in these conditions was a big help. More importantly, the soaked shoes did not cause a single blister or hot spot. I finished the run with two miles on asphalt to get back home – it’s nice to have a shoe perform so well on such varied terrain. I was itching to test how they could handle a bit of speed, so I ran the final half mile back to the house at just under a 6:00/mile pace – couldn’t have been happier with the result. Full run was about 5.15 miles, average pace while moving was just under 8:00/mile – not bad considering that I was picking my way through the woods at 11:00+ min/mile pace for the first half mile – the recently fallen leaves had fully obscured the initial portion of the trail behind my house. My initial impressions of the Minimus Trail are overwhelmingly positive. The main complaint that others have pointed out is the 4mm heel lift, but I can live with that for now, especially since the shoe is so versatile and otherwise well designed (I still hope a zero-drop version is in the works!). Though it is admittedly probably very premature to come to a firm conclusion, my gut tells me that New Balance has a winner here in the Minimus Trail. I’m hesitant to say the same for the Minimus Road at this point – need to do more miles in them to get a better feel. However, given the ability to run both on and off-road in them equally well, my early preference would go to the Minimus Trail. Any comments on weight? They look light. 7.9 oz. Most of that weight is the sole. I’m glad to see your positive review. Having seen the other reviews, and the off-the-cuff “fail” comments on the BTR group, it would almost seem that there’s a strong sense of biting the hand that feeds in that community. The 4mm drop is a non-issue to me. Thanks for the great review, and I look forward to a more “seasoned” one to come later. Thanks for the review Peter. I’m so glad the shoe is not just great on trails. The majority of my running is on varied terrain – roads, smooth trails, rocky trails, gravelly trails – you name it, I’m running on it. I don’t think I’d wear a minimalist shoe like this in snow, so I don’t think the March release date affects me much. Since most of the weight is in the sole, how is it flexible? It must be rather soft. Do you think there’s an issue with it holding up for hundreds of miles on trails? Would you compare the sole to a Nike Waffle XC racer? where the sole is very flexible yet contributes most of the weight. Pete, following up on what Jason mentioned, I’ve run a number of trail races on very rocky trail in Salomon XT”s and the thicker sole, while heavy, they really protect the bottom of the feet. After 50 miles, you’ve hit a lot of rocks. Would these give that type of protection? Your review of the Minimus Road was pretty positive. This one even more so and alludes to the Minimus Trail performing well as a minimal road running shoe. For pure road running, which of the two do you prefer? Fair enough — please keep us updated as you run in them more. I’m really intrigued by both of these, and will likely be buying one of these 2 shoes in March when they come out (primarily as a road shoe, though I do occasionally run trails now in my Virbram Bikilas), so interested to see how your feelings about them evolve. Plan is to have an ongoing series of posts, so you can expect more to come. Oh, boy! You have really whetted my appetite for this shoe. I run barefoot almost all the time…but for trail runs of course I need to run in shoes. The Minimus Trail sounds (from your first impressions) to be an ideal candidate for me. 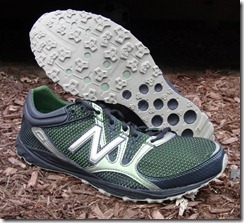 Wow – great review, Pete – very helpful to compare this shoe to the Minimus Road. I particularly like the shape of the forefoot, plenty of room to spread the toes. I’m hoping that the wear-test program will send me a pair to test out. I envy you soo much! First the minimus road and now the minimus trail!!! Great review Pete. I am really looking forward to trying these out. My current trail shoes (Mizuno Wave Cabrakan) are great, but a bit clunky…so the Minimus trail shoe will be welcomed. Cheers. THANKS for a great review. I can’t wait to get a pair. And thanks for the referral …. I just came home from a trip to West Virginia and I went by the Two Rivers Treads store. I got myself a pair of Newton Gravity. So far (only 3 miles on the treadmill last night) I love em. What Trail Ultra are you doing in March?? miles in them, but like them so far. I can not wait to get my hand on a pair of these!!!!! 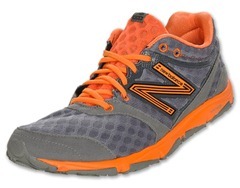 I love my NB MT/WT 101s; I have not run in anything else since receiving them. I run in them road and trail. They just gave me a PR at my most recent 5K. They are my magic shoes. It seems like the minimus trail has all that I love and more. I’m excited about the direction that New Balance seems to be making with their minimal trail shoes right now! This review make me want to try these out. I am interested in how they feel on longer runs. They might be a good alternate shoe for the HAT 50k. Hi Pete – first of all I love your blog. Lots of useful information and really well written. I am amazed how you find the time to do this, have an academic career and raise a family! Quick question – have you had a chance to check out the INOV8 f-lite 195? It has been hard to find any reviews out there on it. I used to have the 312GTX which was a great shoe but wasn’t too great for road running. toward the narrow side of things. Thanks for the prompt reply – and again congrats on a great blog! 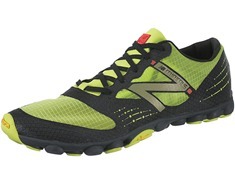 You wrote that the NB minimus road version feels “firm”–does the trail version share this firmness? It seems like it would be even harder, given the all-rubber bottom vs. the mostly EVA foam bottom of the road version. flexible – can roll it into a ball. These sound great based on your first couple runs. I can’t wait to read an extended review! I’m in need of a trail shoe and this, having a wide toe box, would be high on my list. Though the Kinvaras have been good on the trails! What are some of the differences between the Minimus and the MT101? differential) and a more anatomical shape with a wide forefoot. Pete, what size do foot do you have? I’l gladly swap you my MT101’s for those crappy shoes and then you can do a full test on my awsome 101’s……I’m so friggen jelous of you right now. I’ve been carving up shoes like a madman and those Minimus’ are what I want. So i guess as soon as I get these Minimus shoes on my feet I will be dying to get my hands on the new 110, which I am guessing they will release in October because that is when they released the 101 this year. I would also like to note that I loved my 100’s and would recommend the series to any minimalist trail runner, who runs aggression trails. They have a 10mm heal to toe drop, but it does not feel like that at all when you run in them. I also hike in the white mountains in mine. They make get shoes on rock scrambles. Great review. I ad a pair of NB trail shoes years ago and loved them. Since then been doing alot of road running, but need to get back to some trail and hill running. These look ideal for routes that mix road and trail which i’d be doing. My question is how i handle the drop from a typical pair of Asics Road shoe to a low heeler like this? Very cool! Glad you enjoyed them – they certainly sound very interesting. I agree, I’d like to see a zero heel to toe differential, but I know trail racers like Tony like a little heel for the downhills. Will be very interesting how they are received (I too think they will do quite well). Thanks for the post! I just bought a pair of these today, and so far very pleased with them! (I started slow and only ran 2.5 miles) I haven’t experienced any of the problems you encountered thus far and hope it stays that way. Thank you for your continued reporting on shoes! How are these for severe overpronation? Any thoughts? Thanks for your review. 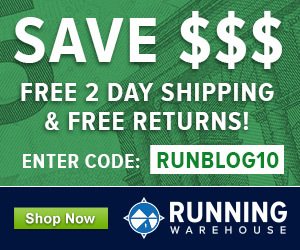 I grabbed a pair of NB Minimus Trails & Mizuno Wave Universe from running warehouse via your link. Thanks for the 10% off! I’ve been running for a few years, but these will be my first “running” shoes; I’ve used a few pairs of NB 373s the past couple years. One thing I’m looking forward to is going sockless in the Minimus, and not being fearful of getting them wet. Searching for sockless shoes is what made me find this site. I was pretty content just running 15 miles max, but after reading through your posts, I’m concerned I may get pulled in more than I want to. Who knew you could run at night?? Got a pair from NB France a few weeks ago to be reviewed on my website. Impressive and far better than the Merrell Trail Glove in terms of real trail running. Just so “easy”. The only negative point would be a lack of space for the big toe. The 4mm drop is indeed not an issue with a good middle of the foot strike, the heel never touch the ground. I had the chance to see a MT00, a real zero drop ultra light shoe that will come out at the end of the year. Wow ! Could anyone give me a hint here? How does this shoe do compaired to the new released Pure Connect from Brooks? Are there any real diffrent? or just 2 shoes with same stats from diffrent companys? Pure Connect is a lot narrower, a lot more sole underfoot, a lot softer, and is a road rather than a trail shoe. Completely different shoes really. Hmm okay.. Well problem is that i’m looking for a new shoe of natural running type shoe. I never had a shoe that you will call natural before so i’m kinda new into this. But after i have been reading tons of review and video of both Brooks Pure Connect and New Balance Minimus Trail i’m still a big confused what would be the best shoe to start in? I have been trying both shoe on and cant say that any of them are better then the other, both feel great on the foot. I will use it for both a bit of trail and bit of road, and is i understand both are pretty versatile and can be used on both surfaces. Could you make help me and clear my mind about this? If the Connects feel good on your foot, they would probably be a milder transitional shoe. The Saucony Kinvara would be another to consider in that category. What are you running in right now? The NB has a bit more cushion and a 4mm heel lift, so would be a bit more forgiving if you are coming from more traditional shoes. The Merrell would require a slightly more gradual progression. I just received my MT10, I bought them on the regular size I used 10.5US, but apparently since running ony in the VFFs my feet grew, and the 10.5 dont fit me anymore, trying them sitting, I have half a thumb space between fingers and front, but standing my toes hit the front (all of them). Now Is clear I need a bigger size but how big? half a size 11, or a full size 11.5? I have to order them online, so there is no way of trying them 600KM around my city. I am planning on running up to 20km in them. Could anyone with experience running in these give me their opinion? I´d appreciate. forgot to mention I am planning on either running sockless or using injinjis toe socks. I wear my usual size in them, so not sure what to tell you. Maybe start with a half size up? I think I´ll order both, if one of them dont fit, I can leave them to one of my brothers. It is the only way to take advantage of one single ride to the USA in the coming weeks. Dont want to risk it and have to wait again. Thanks for your prompt reply as usual! In a few of your posts, I notice that often you comment on a need for the toebox to be roomy so your toes can splay while running. Some of your reviews mark that the shoe was too narrow there. I happen to have narrow feet; do you think the NB trail shoes would accommodate my foot as well as yours? Certain shoes I have worn in the past were so roomy in the toe that my foot slid around and got blisters. Any thoughts? Also, another common problem I find is that the “glove-like” fit of many minimal shoes gives me blisters on my arch. Have you ever experienced this, either in these shoes or in others? I have two friends who own this shoe and love it, so I am curious to try a pair, but after a few disheartening expensive buys, I am feeling rather reluctant to shell out more dough on a shoe that will cause me problems whenever I run more than 30 minutes in them. A wide toebox with a snug fit through the midfoot and heel shout not allow much sliding. A shoe that is too big all over will. Blistering and abrasion is totally a shoe by shoe thing for me – some do, some don’t, but usually socks take care of the problem. Only way to know for sure is to go somewhere that lets you try them on a short run. Thanks for the lightning response! Wow. Another question- what is the difference between this MT10 and the MT20? (Besides the fact that the price of the MT20 is half of the MT10). Also- most minimal shoes, including these, are made for men. Are there any good ones out there for women? The MT20 is the mass-market version of the MT10 – pretty much the same shoe if I understand correctly. Merrell just launched a women’s minimalist site today, might be worth a look: link to merrell.com…. The Bare Access Arc is a good choice for a flat transitional shoe.